For those who have spent summers at IpperwashBeach, Port Franks, Grand Bend, or a number of other popular cottage sites in Southwestern Ontario, Lake Huron No. 3 is already emblazoned on the mind’s eye, and in the memory. 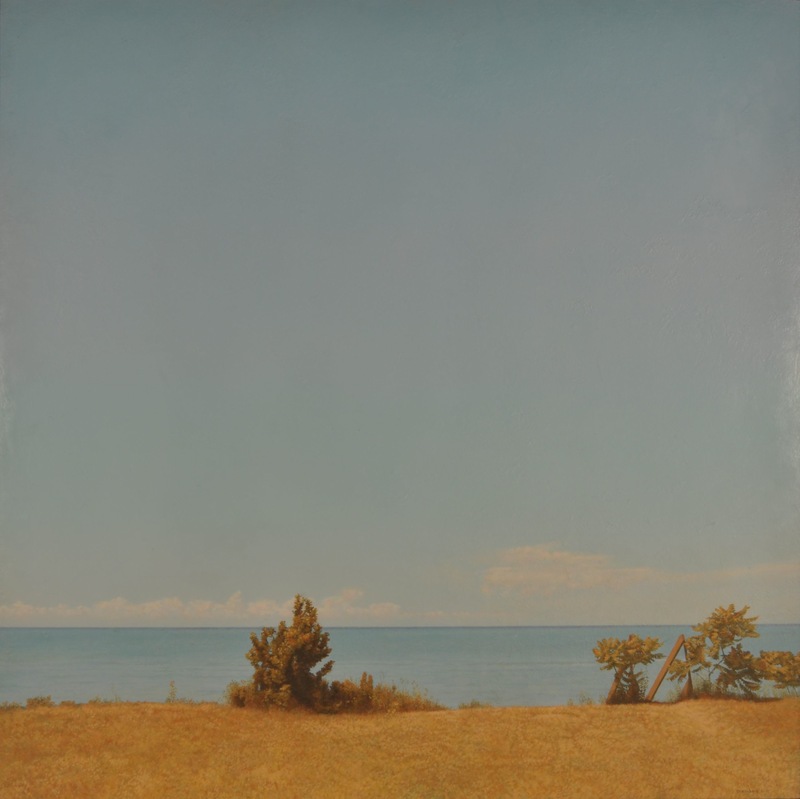 Chambers chooses a perspective of Lake Huron that is mostly sky, yet captures enough beach and scrub as to situate the viewer comfortably within the scene. He delivers an unromanticized view whose ordinariness and complete absence of human activity distinguish it firmly from countless shoreline paintings by European masters. In this specific, very regional scene, Chambers faithfully recreates surface details, using photographs as aids to memory and the means to accurately scale his subject matter. Lake Huron No. 3 is, as its name suggests, one of a series of paintings that Chambers created using Lake Huron as a subject. All find Chambers exploring what he called “Perceptual Realism,” an approach that aimed to capture how the human eye sees and is informed by the elusive and ever shifting qualities of light. Chambers perfected this technique throughout the 1970s, returning in his own mind’s eye to an incident of complete visual and spiritual clarity that he experienced when glancing in his car’s rear mirror along Highway 401.1 Chasing the epiphany that this moment offered became Chambers’ passion and inspiration until his death from leukemia in 1978.